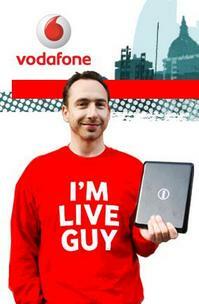 Vodafone LiveGuy is in Leeds today, and he’s already been collared once by a netbook winner. He’s got another to give away at midday, and another couple this afternoon, so check out the site here for his GPS location and clues. It’s definitely worth having a scout around if you’re in the area – Shiny Shiny reader Mel B won a netbook yesterday in Liverpool, and was kind enough to drop us a comment and let us know. Have you won? Are you going to win? Have you been out in the elements trying to win? Let us know, won’t you?